At the core of every individual’s life is a need for relationships — with God and with God’s people. Small group interactions, like PBC‘s Small Groups, are simply the best place for us to grow in our faith (Ephesians 4:11-13). Small Groups are where you will grow together in your relationship with Jesus Christ, love one another in a small group setting where you live in authentic community, and serve others and the Lord in our church and in the Collin County community. Small Groups are groups of 8-12 people who meet together regularly for fellowship, Bible study, and prayer. They help you connect in community with others and to the life of PlanoBibleChapel, while helping you apply biblical principles to your everyday life. Real spiritual growth takes place in community with a few other believers where we are encouraged to express our needs in terms of our spiritual growth. When we are alone, it’s easy to think, incorrectly, that we are spiritually mature. 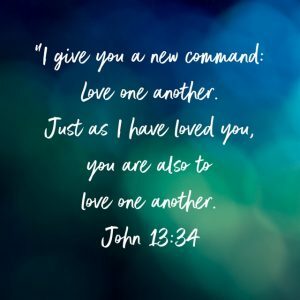 It’s in community, however, that we discover who we really are and how much transformation we still need to love God and love others (Romans 12:1-2). All the admonitions in Scripture to love one another are best lived out as we share our lives with each other in smaller community groups. We believe it is important for everyone to find a place to connect and grow in Christ. That’s why PBC offers Small Groups that meet in homes across the area. Whether you’re a man or woman, single or married, there is a place for you to connect. Connecting to a Small Group is easy. Contact the church office, or fill out the information tab in our weekly bulletin. We will help with connecting directly to an existing Small Group or form a new group with people like you. Most Small Groups meet two times a month on the 1st & 3rd Saturdays. We want you to feel right at home at PBC …to be part of the family of God. Get connected in a Small Group today to grow, love and serve! In addition to Small Groups, we also have various other groups designed for special stages of life and individual needs. Find one that meets your needs – today!